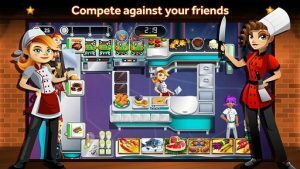 RESTAURANT DASH, GORDON RAMSAY MOD APK is a casual cooking android game by GLU INC. Glu has released more cooking games before like Cooking Dash 2016. maybe they earned huge profit so they have decided to bring famous person in the cooking game. 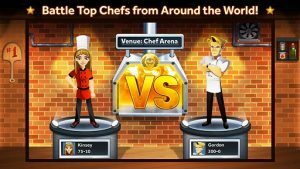 Cooking Expert Gordon Ramsay is a top uk chef that is now famous all over the world due to his great cooking skills and his tv show. 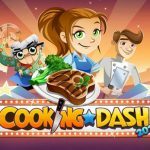 If you like cooking games and Gordon Ramsay then you need to play Gordon Ramsay Dash. 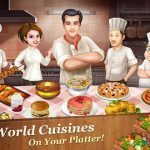 Quickly make dishes off food with Ramsay at your side unlock new recipes and find new places to cook food even buy more storage place to cook food and keep warm or buy better equipment to cook faster. This a must play game will keep yo glued for hours. 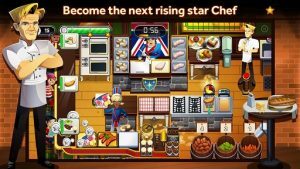 Of course you are the chef here.and you are Ramsay. 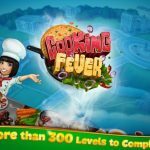 you have to cook delicious dishes. edit avatars of your character. Game is fun playing with other players too. you can fight other players online in PVP. There comes the celebrity boss battles as well which you can fight. 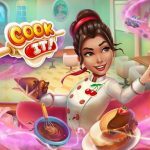 earn money completing quests and use those money to unlock new recipes. 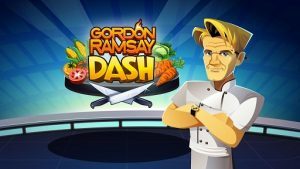 MOD APK OF GORDON RAMSAY DASH is free in the play store but if you get our GORDON RAMSAY DASH MOD APK 1.9.1 Unlimited money hack cheat then you can unlock all the recipes offline easily. 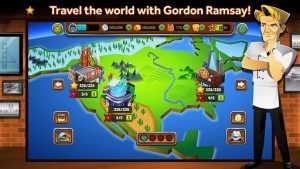 Install MOD APK and Play to get Lots of in-Game Currency. hello. 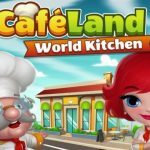 Why does everytime i download the new land it says no internet connection? my connections are fine. thanks! Hi, If I connect it to facebook I lose everything or I remain unlimited? RG thank you for this awesome game. I’ve been playing it ever since I installed it. 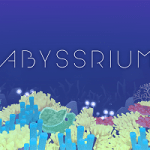 Really addictive. RG we want POKELAND MOD! !